We came across this picture today and had to share it. HARD SUMMER made huge headlines a few weekends ago when it was reported that someone had died at the festival. 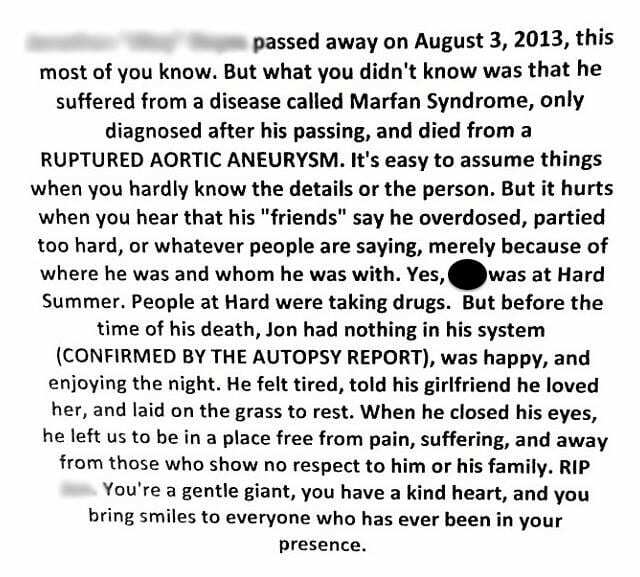 Today we are learning (as we suspected) the death was not drug or alcohol related, but as a result of a Ruptured Aortic Aneurysm, a diagnosis which was given after the time of the festival attendees death. This snippet give us a little more insight as to what happened, and are thoughts and prayers are with this persons family during this very difficult time.